Today, I took my mother on a visit to the bijoux collection at Les Arts Decoratifs in Paris to say thankyou. Thankyou for teaching me about Art Nouveau when i was a child. Thankyou for supporting me through art school and all the crazy ideas before I finally made the decision to be an artist. Thankyou for understanding that sometimes the paths we choose in life have to be taken - even if they are not the most financially successful. Her passion for Klimt and all things Art Nouveau when i was a child, sparked my obsession for nature inspired arts. It wasn't until my move to Tasmania, that the direct artistic influence and natural inspiration came together. Nothing has ever come close than the contentment i have felt this week. I stood by as my mum finally saw the original artworks we drooled over since I was a child. 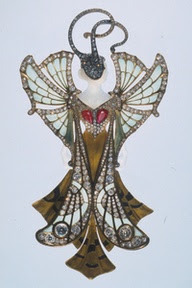 Rene Lalique, George de Ribaucourt, Paul Vever and George Fouquet (just to name a few). 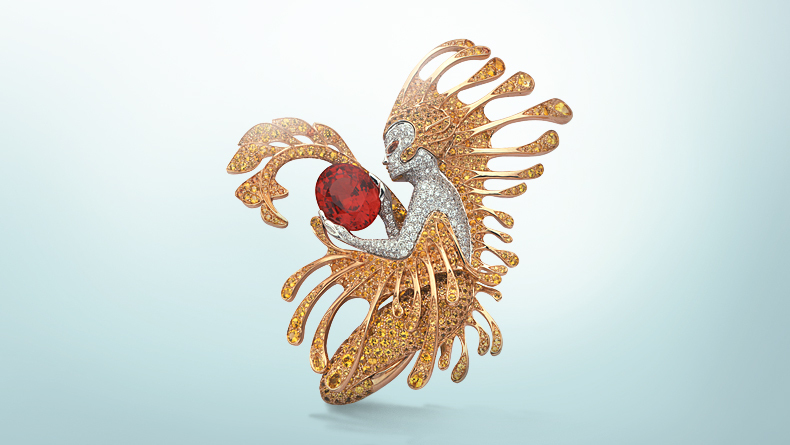 In addition to the jewellery collection we got to enjoy - there was a temporary exhibition of Van Cleef and Arpels. Not being a fan of expensively sparkly jewels that would drape Elizabeth Taylor - I was not as excited. However, today i got lost in the bling of it all and my jaw dropped at the technical precision of these hand crafted works. I watched a documentary on their processes and was followed by rainbows across the gallery floor from the multitude of diamonds that were squeezed into every crevis of gold on display. Today - I appreciated bling!